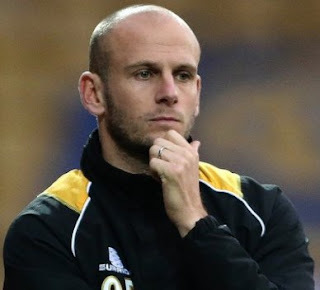 Adam Murray has been at the helm since November 2014 having had a playing career as a midfielder for notably Oxford Utd, Derby County, Carlisle Utd and Mansfield Town. A straightforward route for this one. Exit the M1 at its junction 28 and follow the A38 signposted Sutton in Ashfield and Mansfield. 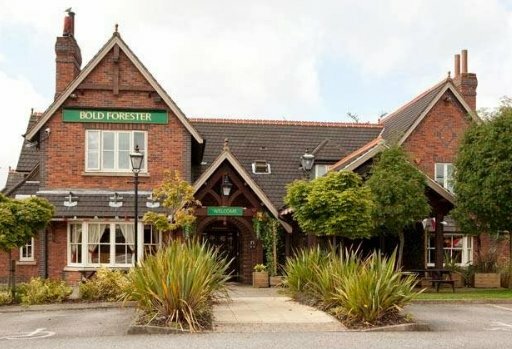 Basically just stay on this A38 road (it is named Sutton Road), turning right at a crossroads at one point, until you meet the Sir John Cockle pub on your left at another crossroads. Do not be put off by the inordinate amount of traffic lights you encounter en route, be patient! Turn right into Sheepbridge Lane (ground signposted at this point). Pass under the railway line and look out for a left turn into Quarry Lane with the Lord Byron pub beckoning you! The ground is a short drive/walk down this road. There is a car park at the ground for approx. 300 cars which charges I believe £5.00 per car but this gets full very early. There are numerous pay and display parks locally the best being the Station Car Park but this is limited to 4 hours. I am asked to warn you that the retail park beside the ground does not allow football parking and you are likely to be clamped! A journey of around two and half hours on a mid morning train from Kings Cross St Pancras will possibly incorporate a change at Nottingham. The floodlights are clearly visible when you leave the station and the ground is a ten-minute walk away. The Early Doors pub across from the ground is allegedly away friendly and serves good food too. The Famous Talbot is about 50 yards past the ground and is also away fan friendly and also serves food. The Bold Forester on the Sutton Road A38 is highly recommended personally but is a good 15 minutes walk away from the stadium. It was the site of my 45th birthday celebration, Well I think it was anyway! 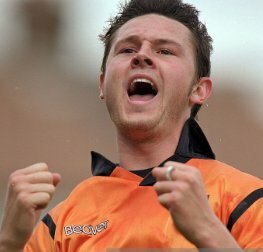 I actually had more shots that day than the Barnet team. Unfortunately the ground is heavily infested by fast food take-a-ways all within a few minutes walk in the local retail parks. If you like a pie during t’match or at half time then you will not be disappointed inside the ground. Club Quote: Away travel supporters are most welcome in the SSA supporter’s bar located at the bottom of the main stand. Sometimes there is a £1 guest charge as this is a members bar. Stag TV and a family friendly welcome awaits you. I read that as no problem! The ground has only retained one stand from the last century and that is the quaint Bishop Street Stand built in 1938 seating 600. Its design will be very familiar to the more senior supporters from our Southern League days as it resembles the original main stand at Plough Lane Wimbledon albeit on a slightly larger scale. Wealdstone‘s Lower Mead had another example of this design except that it sat on a raised base that held changing rooms and offices. It too will soon sadly be a relic. The two tiered Ian Greaves or West Stand was completed in 2001 replacing the fine old West Stand which from the pitch bore a similarity to the old East and West Stands at Highbury with a large open terrace in front - oh well another gem of a football stand has bitten the dust. This new structure has room for around 6,000. At either end the stands are identical (apart from the seat colouring) single tiered constructions with the away fans are housed in the North Stand which is to the left of the main stand - it holds 1,800. Our last visit was in April 2016 when a John Akinde goal bought home a point in a 1-1 draw. I seem to recall that the 0-5 defeat at Field Mill in November 1998 in Division 3 was the first game I ever witnessed watching the then horrible new fangled yellow ball, but I might be wrong. 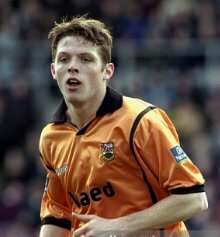 A highly entertaining game at Underhill in August 2000 finished 3-3 featuring goals from Scott McGleish, Sam Stockley (now that was rare) and Mark Arber. 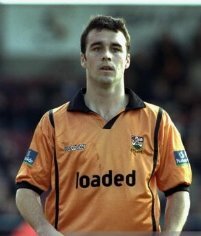 Barnet’s first ever victory as a Football League club came at Field Mill in August 1991 Mark Carter and Gary Bull scored in a 2-1 win. Mansfield is literally the furthest football ground from any section of English coastline! 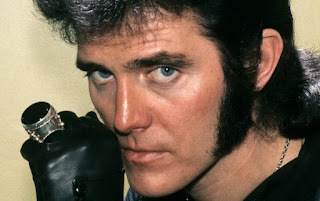 If you spotted in years gone by a 60 plus old man in a leather cat suit it is probably 1970’s Glam Rock star Alvin Stardust - certain supporters I could mention remember him as Shane Fenton in the 1960’s. ALVIN........ A MARTIN ALLEN 5 out of 10? If a lady runs up to you with a microphone dressed in Khaki it could be TV reporter Kate Adie. 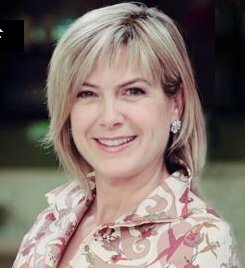 Very attractive TV presenter Penny Smith, who I reckon would be beautiful company out for Dinner hails from here as does that ex Blue Peter presenter who very stupidly prepared something earlier!!! - Richard Bacon.